Oh, the best laid plans. 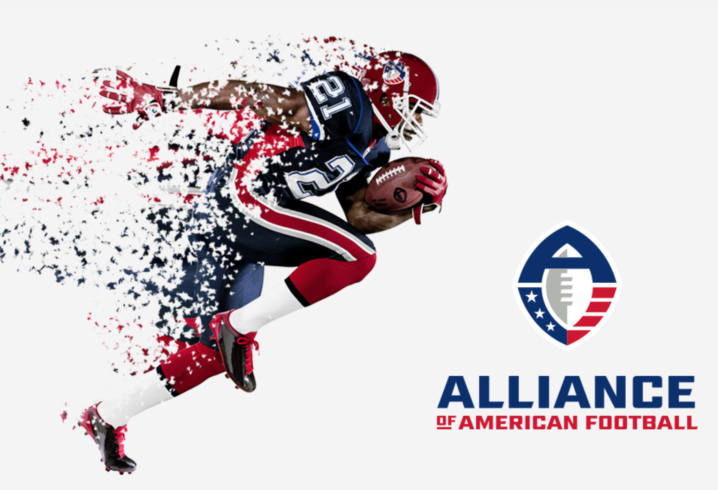 When it was first announced earlier this year, the Alliance of American Football, a new upstart professional football league poised for Spring play, sounded like it had its act together – from branding to promotion to strategy to, most importantly, a viable business model. Yet, despite all of that, it appears that once again unforseen ego may have gotten in the way. It wouldn’t be the first time. The plan was solid: Provide a tangible pro football product to keep pigskin enthusiasts occupied during “no man’s land” between the Super Bowl and collegiate draft. There would be an initial eight teams playing in largely warm-weather climates over a 12-week season. To encourage fan loyalty and interest, players would be “drafted” to teams based on geographic proximity to the colleges they played for. Teams also agreed to stay within their financial means and on a level playing field with all players signed to 3-year, $250,000 contracts. In total, this modus operandi would ensure the AAF would avoid the past pitfalls of the likes of the United States Football League (USFL). Moreover, flashy uniforms, world-class head coaches and leading edge tech (including an amazing app) all seemed poised to work in tandem toward success. Yet, despite all of this and major network exposure – including CBS Sports and the NFL Network – and millions of viewers in its first few weeks, the league is suddenly no more after billionaire and chief money man Don Dundon reversed course and pulled the plug this week with two weeks left in the season, much to the dismay of many, including league founders and team owners. 450 players are suddenly on the street along with 100 coaches. Why? How? Some reports seem to indicate that Dundon soured on his support of the league after failing to reach an agreement with the NFL (more specifically its player’s union) for the AAF to become, in essence, a developmental league. Dundon didn’t get his way and that was it. It was all a bit reminiscent of our current president’s roll in the demise of the USFL whereby an entire league was led over a cliff in one man’s quest own an NFL team. Again, ego and self interest. It’s a lesson for anyone looking to start up a business or entity of any size – know your partners and investors well. Their personality, intentions, hot buttons and world view. Because you can conceptualize, create, brand, promote, market and deliver a product with exceptional aplomb and yet come undone when a key team member is not on board with mission and long term vision. Keep your friends close and your enemies closer? Indeed.